Very happy with my purchase. The labels work great. I absolutely love these lables. I use them for my son's stuff for day care and I use them for my tupperware. My family and i have the same tuppeware so when we send eachother home with leftovers i always get myine back because I have my lables on them. microwave safe, run thru the diswasher on a very regular basis and they haven't fadded or peeled off. Bought some more for myself and also for my cousing that just had a baby. She loves them too! 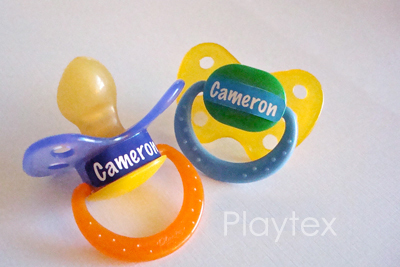 I love these, they are perfect for the nuk pacis! My son has them on every paci, I look for excuses to use them! I love the colors they come in as well! 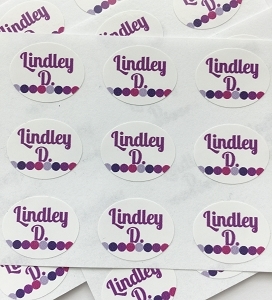 The Tiny Name Lables are perfect for bottles, pacifiers, and sippy cups. They have stayed on through the dishwasher, and still look like new! Also, very helpful for labeling bottles for babysitters & daycares. Great labels. My sister-in-law turned me on to these and I love them. The colors are great too! I love these little labels! They are great for sippy cups, small toys, my son's DVD's, etc. I like things that are a bit simpler and lower-profile so these work perfectly. I bought these to label my kids' school supplies. They were great for pencils, but too small for anything else. It looks really nice compared to using a marker. I think I will buy the next size up in the future. These tiny labels are great for so many things! We are using them to label our son's bowls and lids that go to daycare. I have washed the bowls and lids many, many times since I have stuck them on. They look just as great - they are not going anywhere. SO far, I love these labels. 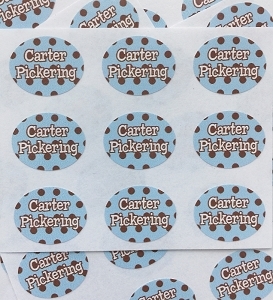 Cute and fun and I know that these labels help ensure my baby's things don't get mixed up with another baby's bottles or pacifiers. They don't wash off or peel off. I have already recommended this product to a cousin with a baby on the way that will be going to daycare. As a parent, I want to help the nursery/daycare caregiver find the right bottle and pacifier that belongs to my baby. Those rooms are busy and bottles, pacifiers, and sippy cups can all look the same. 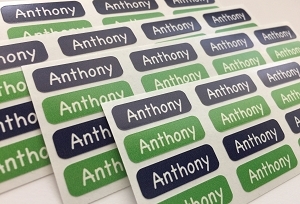 these have been great as labels for the tops of sippy cups and other smaller items that i did not want to write on with marker. 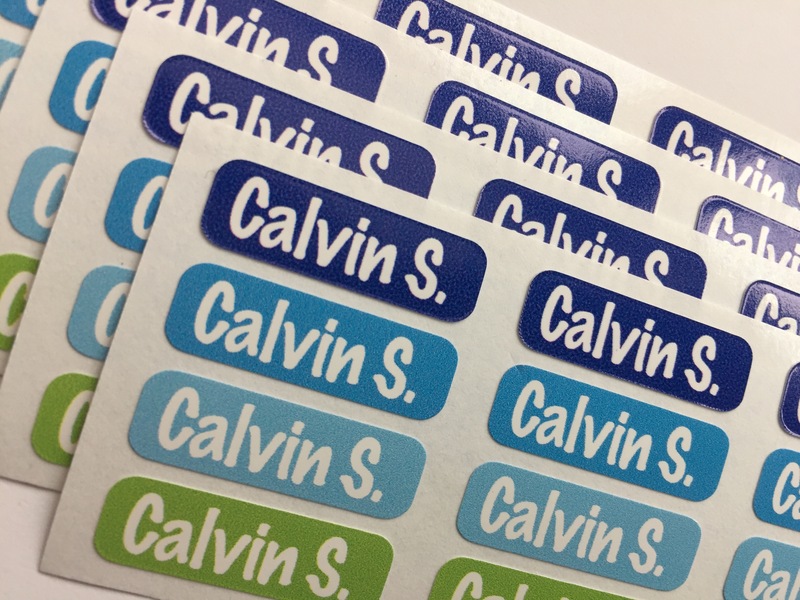 These labels are the perfect size for pacifiers or little toys! We just love them! They are perfect for daycare.